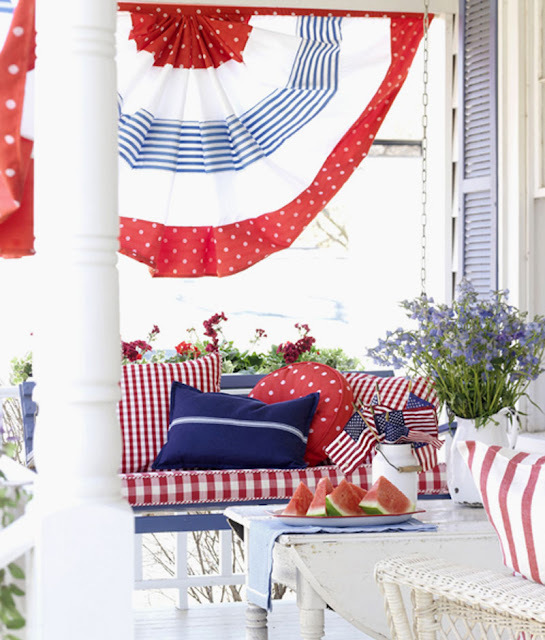 I fell in love with this great 4th of July decor from Country Living years ago. 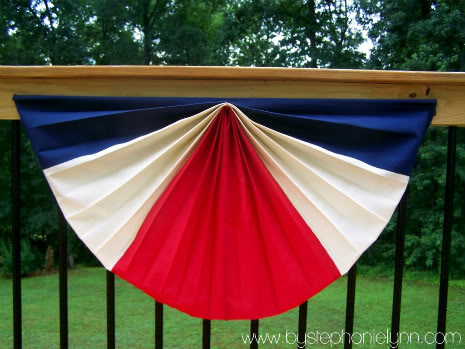 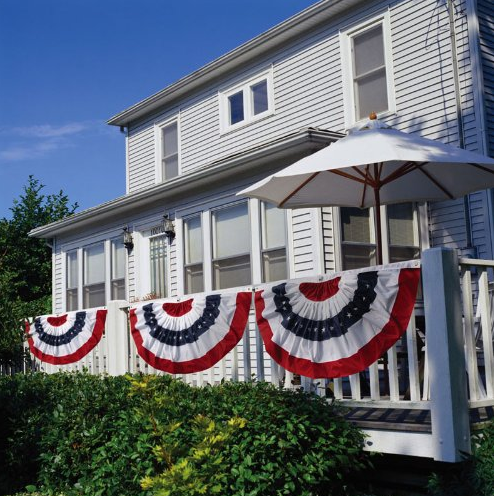 They used fabric and a tension rod to create fun patriotic bunting for porches and windows. 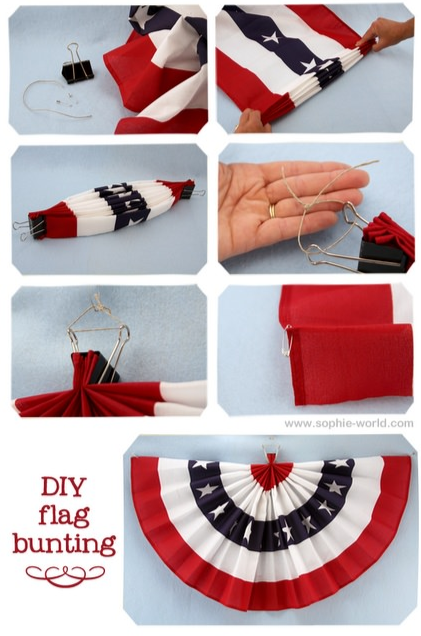 I can no longer find the tutorial online, so I thought I would share a few more fun bunting ideas for Memorial Day and the 4th! 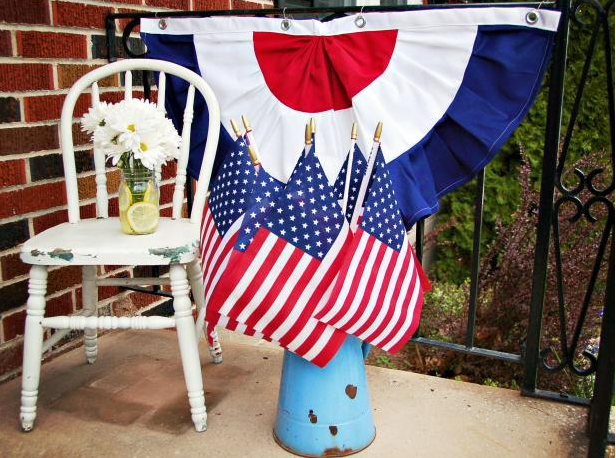 HGTV has an easy tutorial on how to sew patriotic bunting.